Infinite Peripherals, a leading innovator of iOS business solutions,empowers businesses to operate more efficiently. The company offers barcode scanner data and insights that impact the bottom line in real-time as well as secure payment processing solutions on the sales floor. Infinite Peripherals also delivers solutions that help associates engage with customers in impactful ways. With over one million solutions deployed, Infinite Peripherals enhances operations in several industries including retail, inventory management, warehousing, healthcare, and transportation. The company is committed to help businesses go paperless in an effort to reduce carbon footprints and energy consumption. With mobility, the possibilities are infinite. For more information, please visit ipcmobile.com. 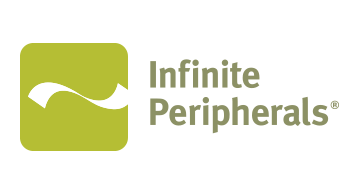 Connect with Infinite Peripherals on Facebook, LinkedIn and Twitter.